Mountain views! Glorious Sunshine! Mesmerizing Sunsets! 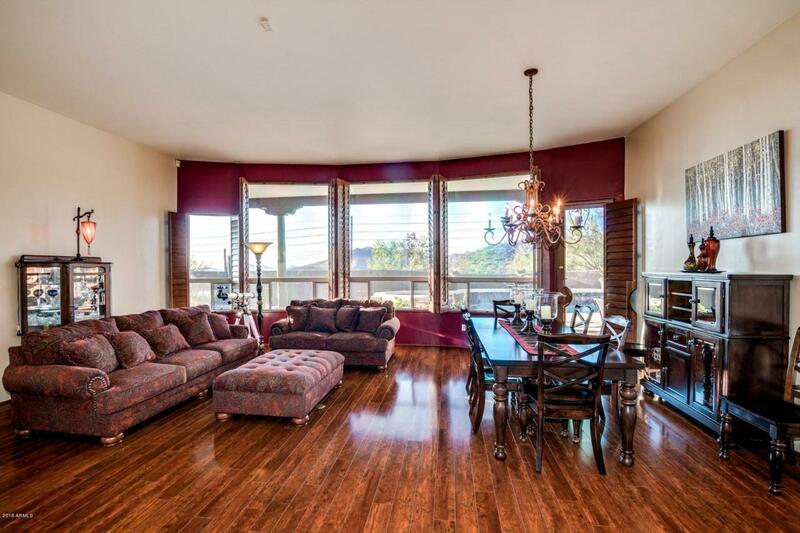 Set on the lower slope of Black Mountain, this comfortable, nicely-appointed, well-maintained home offers an excellent floorplan and superb outdoor living. The entry is a pure ''WOW'' as a wall of windows frame views of the mountains and city lights. Handsome wood-look floors give a formal look to the living/dining room, followed by the more casual-feeling kitchen/family room. 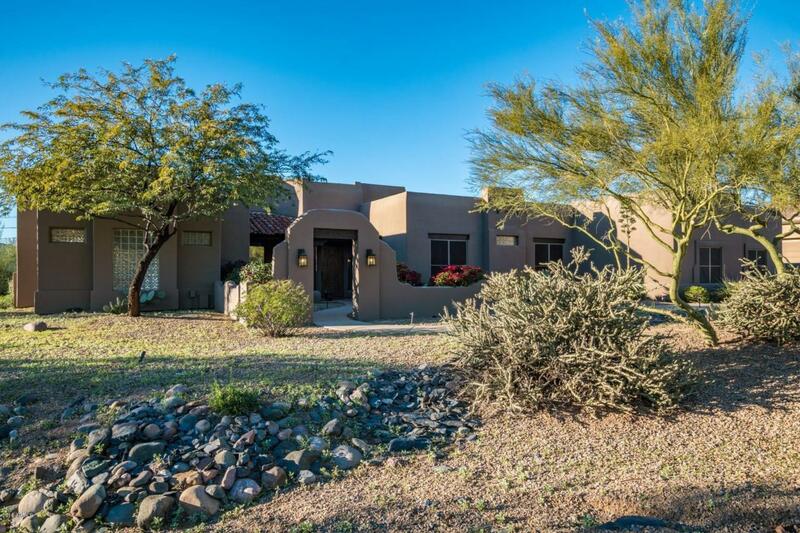 The home is in excellent shape with many newer items: appliances, ACs, water heater, water softener, RO, roof coating and 3 variable speed pool/spa pumps. 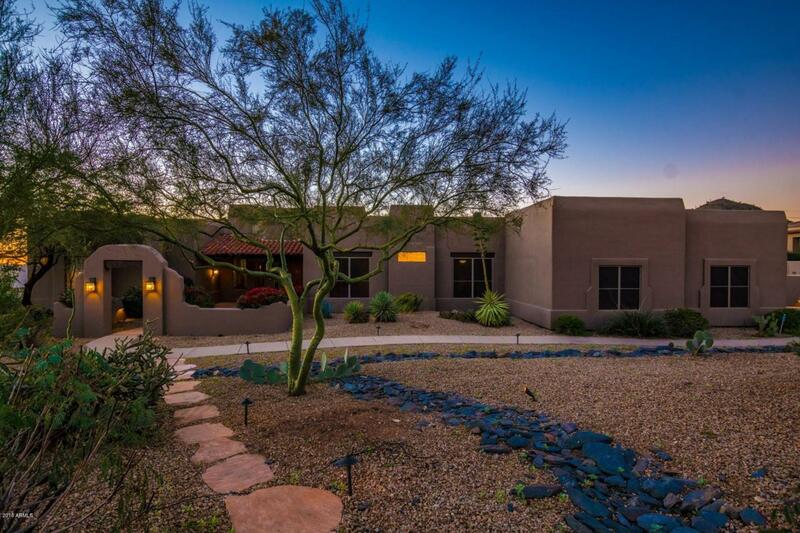 The neighborhood features miniscule HOA fees, low Carefree taxes with fire service and the convenience of Cave Creek mail delivery. 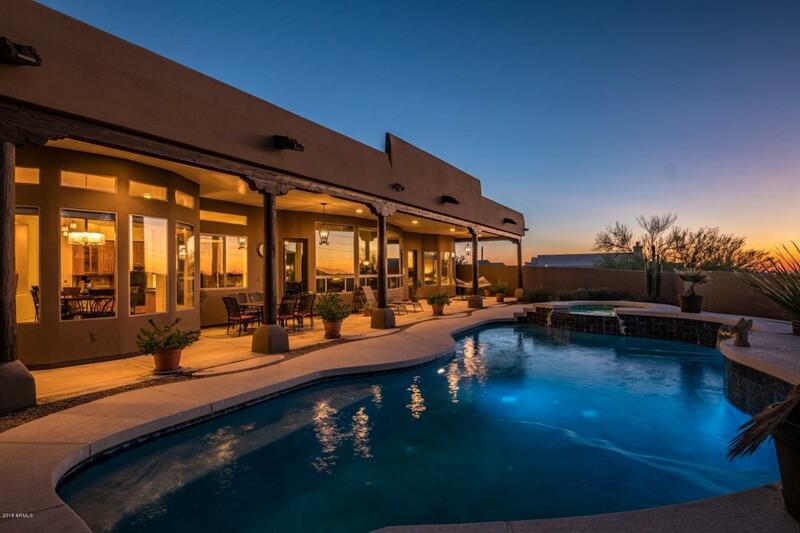 Leave winter behind and come live The Good Life in Arizona! Cross Street Carefree Highway & Cave Creek Rd.